Voters get “I voted” stickers. Journalists should get … – Pamela Wood. Voters get “I voted” stickers on Election Day. I think journalists should get “I survived” stickers. Election Day is a long day of hurry-up-and-wait for journalists. It’s like Christmas, but you can’t open your presents until the end of the day. You’re waiting, waiting, waiting to see who is going to win before you can get too far into writing stories or designing pages. This year’s election was exciting in Maryland. While it was clear President Barack Obama would carry the state, the national outcome of the presidential race was in doubt well past 11 p.m.
After working until 2:45 a.m., I turned around and was back in the newsroom at about 8 a.m. to help polish things off for the print edition. I also was a guest on “Maryland Morning” on WYPR radio, talking about the election. Here’s a link to the show. 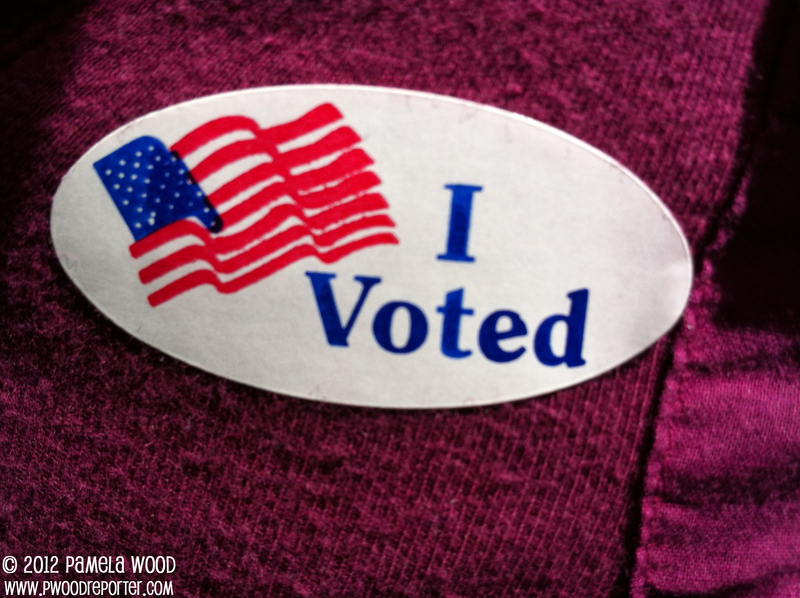 Here are a few quick cell phone photos of what my Election Day looked like. 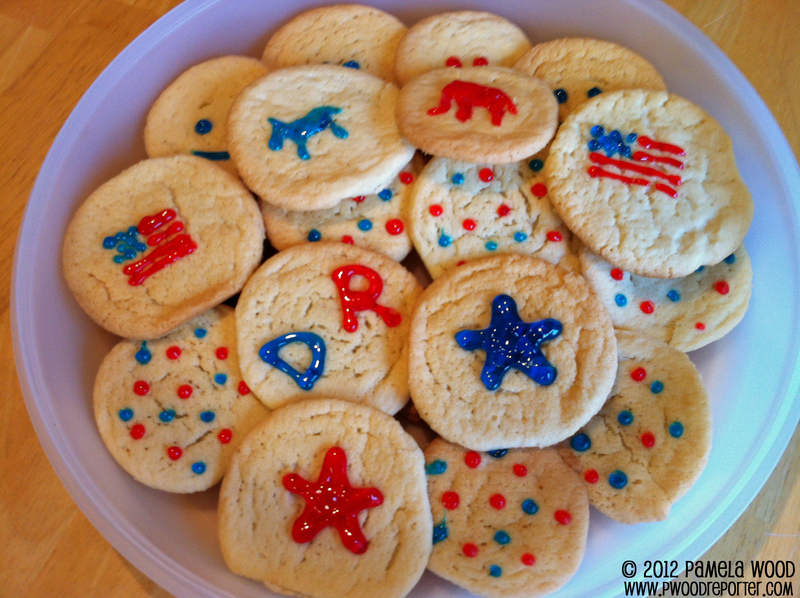 Patriotic cookies I made for the newsroom on Election Day. 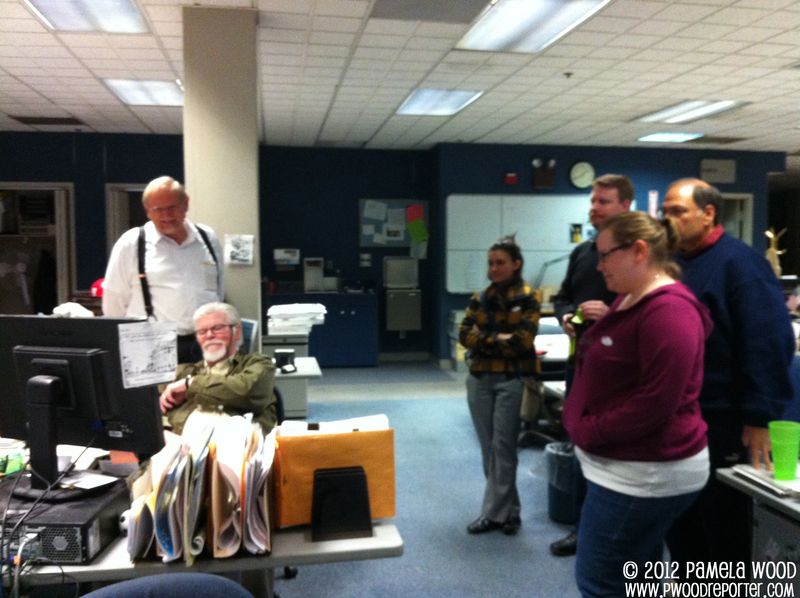 A slightly blurry photo of the late crew in the newsroom watching President Barack Obama’s acceptance speech. 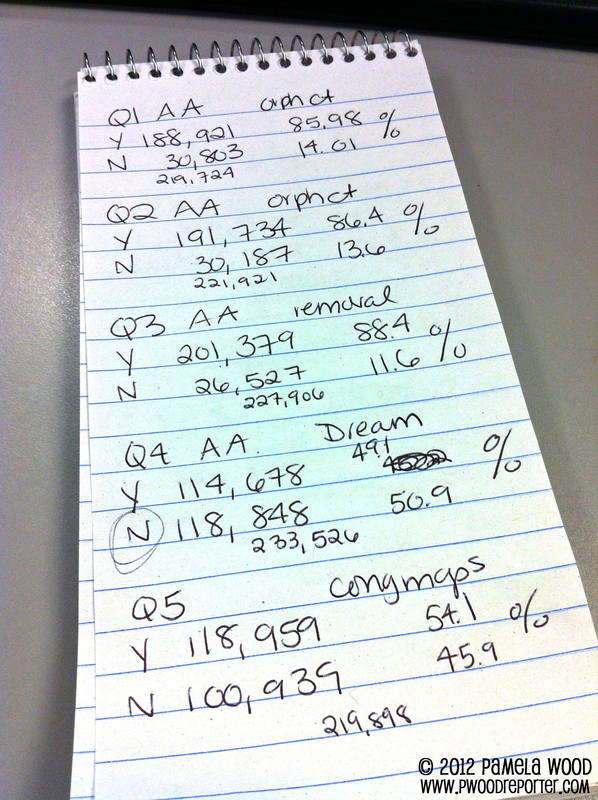 Figuring out percentages for how Anne Arundel County voted on ballot questions.